All adoptable animals are spayed/ neutered and vaccinated. Please adopt, don't shop! 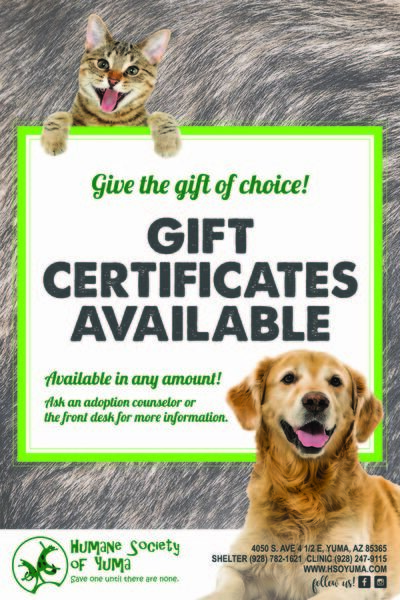 Please visit the shelter to purchase your gift certificates today! *In the event you fall in love with an animal who's adoption fee is waived, the value of your gift certificate becomes a donation for the Humane Society of Yuma. **Excludes licensing fees in the City of Yuma and Yuma County.